I never thought I was going to be back in Puerto Rico so soon. I had documented a part of my trip back in May here and had written a more comprehensive overview of the art scene down there here. But I got invited to return as part of a collaboration between Conde Nast Traveler and the Office of Tourism of Puerto Rico and I had yet another opportunity to check the exciting art and design scene of this diverse island. This trip, albeit short, was packed with art-centered activities spanned over the course of three intense days. 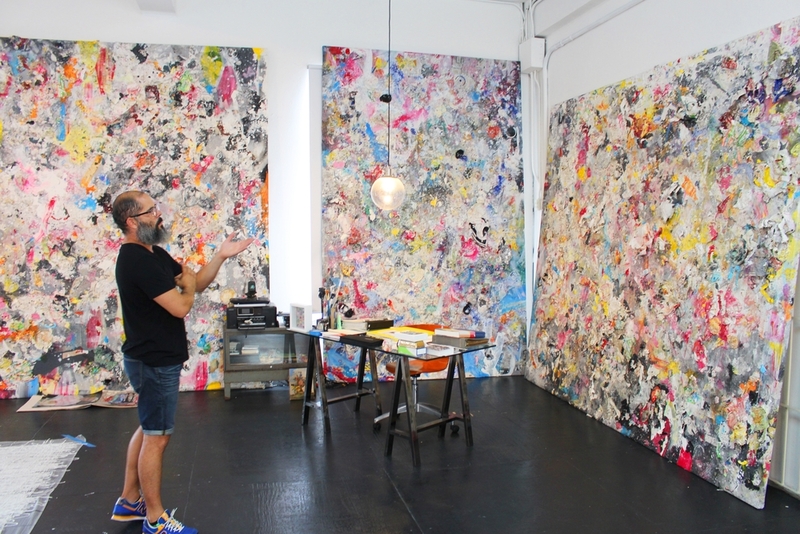 One particular highlight was visiting the studio of mid-career artist Melvin Martinez. Located in the edgy neighborhood of Santurce, Melvin showed me some of his multi-layered, multicolored pieces, some of which have been exhibited in top galleries and museums in New York and Paris. Fittingly, Santurce has become an art destination. What used to be a dilapidated neighborhood is now filled with vibrant rows of houses whose facades have been transformed by skilled local street artists. What started as a spontaneous urban art manifestation has given birth to a movement called "Santurce es Ley" which after five years is now garnering the international attention of press, critics, museum curators and gallerists alike. I was particularly impressed by the work of artist Damaris Cruz (Damalola), whose facades stood out because of her technique (an overlap between photography and collage) and her use of unique, warm color combinations. At the Museum of Contemporary Art admiring the works of Arnaldo Roche, one of my favorite artists. San Juan has several art museums and this time I visited the Museum of Contemporary Art (MAC), whose colonial-inspired brick building is juxtaposed against a geometric glass ceiling that allows nature in and enhances the beauty of its internal patio. The permanent collection is focused on Puerto Rican artists but also includes works by artists from other Caribbean countries. At the MAC I was elated to find a stunning oil-on-canvas piece from one of my favorite Puerto Rican artists, Arnaldo Roche, and a couple of sculptures by Daniel Lind Ramos, who employs local materials such as palm trees and pots and pans used by women who cook typical food. 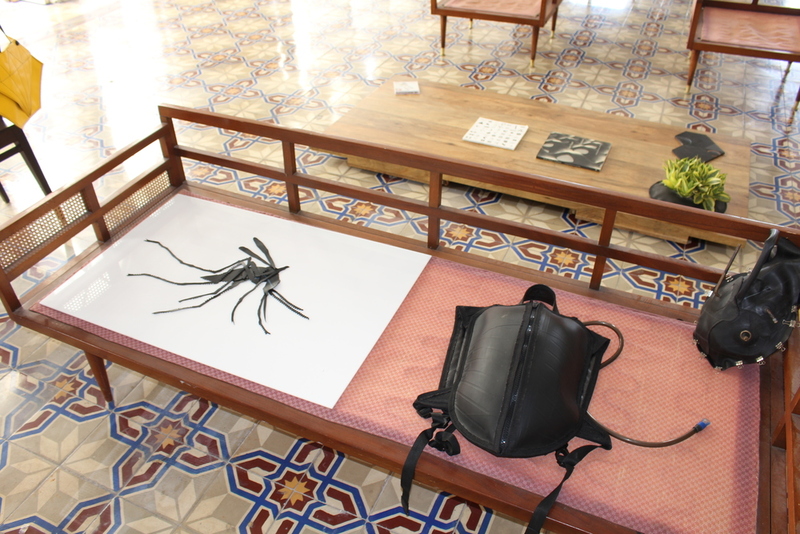 I also visited the studio of Jesus Manuel Gomez, who has created beautiful and conceptually smart art-accessories like handbags and necklaces made of local recycled materials such as the inner tube from truck tires and rubber from dinghies. He works out of a massive studio in Old San Juan, whose floors covered in Spanish-style original tiles and large windows is inspiring in itself. I will continue with more images and relating more fun experiences about this trip on a second entry to this post later this week.